It would be nice if the usual ceiling inApartment turned into a clear blue sky with fluffy clouds! 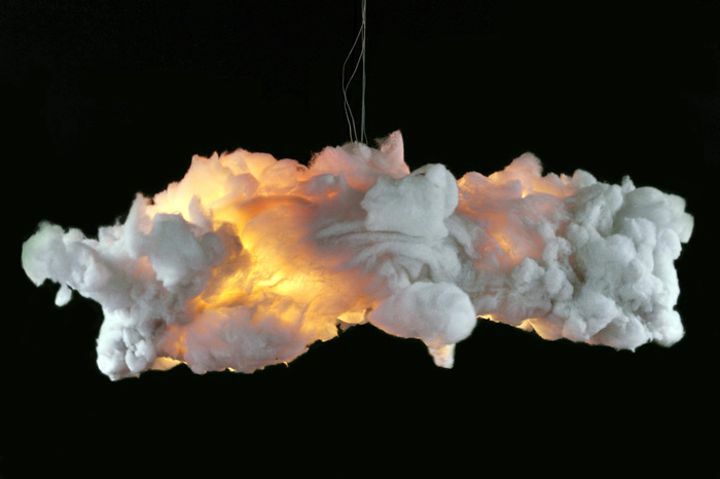 Interior designers and industrial designers offer many options for decorating a bedroom and living room using accessories and lighting that resemble the sky, and in some cases perfectly simulate real clouds. 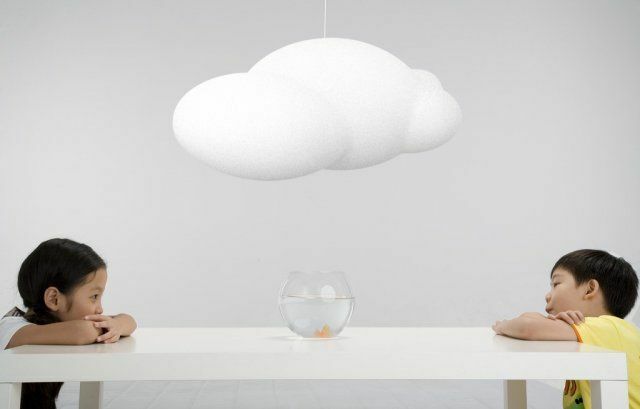 Let's look at interesting designer lamps in the form of a cloud. 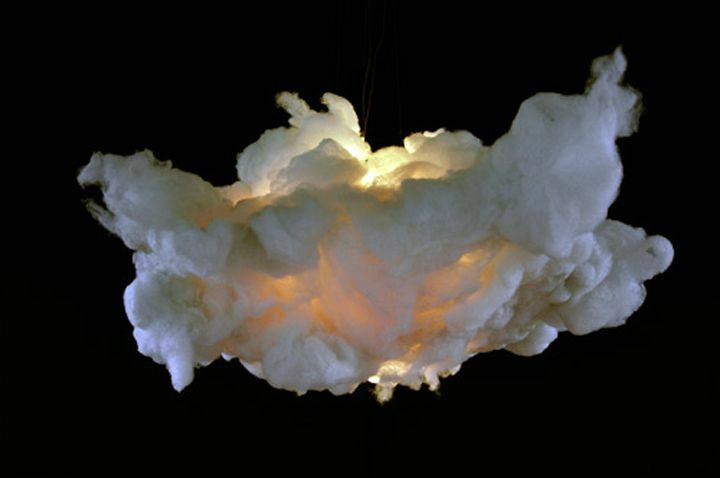 The duo of designers Margie Teeuwen and Erwin ZwierCreated unusual ceiling lights, stylized under the clouds. The authors have worked with paper for a long time, revealing all the possibilities that it gives for design. But to create a safe and durable lamp, we had to look for an alternative to paper with similar properties. 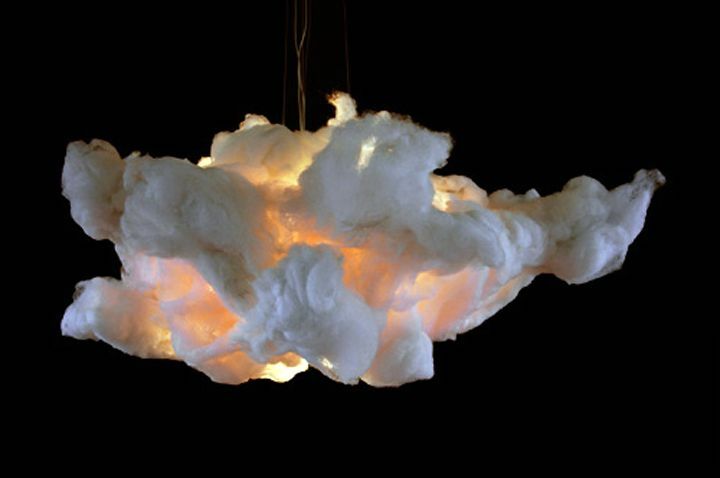 As a result of experiments, lamps in the form of clouds were made and synthetic material - plastic biodegradable paper. 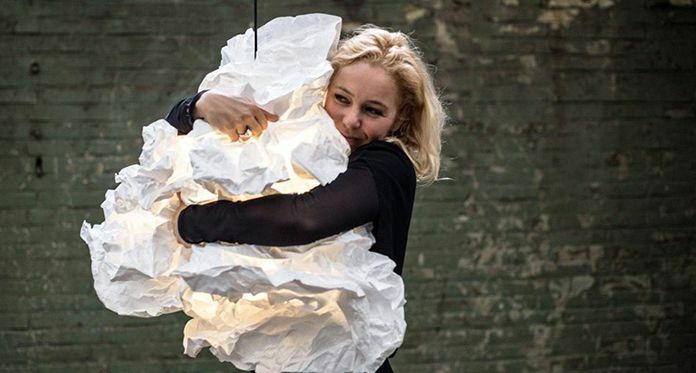 Fixtures are easy to take and hold any shape, they can be crumpled and stretched, creating their own design. It seems that these clouds consist of fluffyCotton wool. 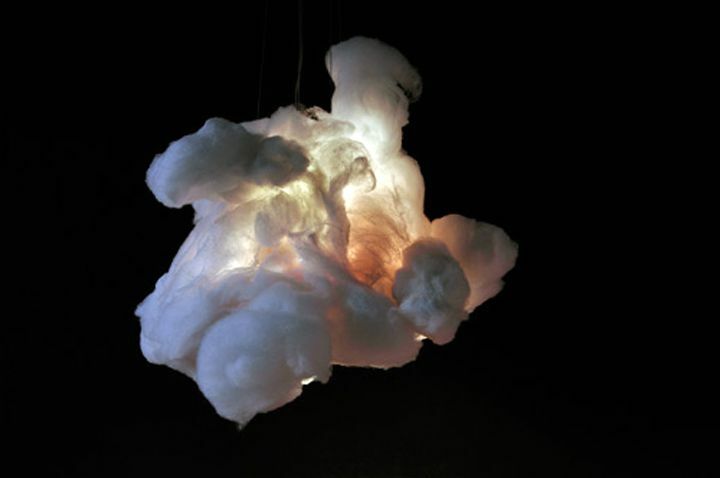 The designer from Holland Wout Wessemius used this illusion and made the fixtures in the form of a cloud of polyester fiber. The different density of cotton wool in the fixtures lets more or less light from the light bulb, so it seems that the cloud has closed the sun. The user can also slightly change the shape of the luminaire, pulling or gathering fiber into lumps. 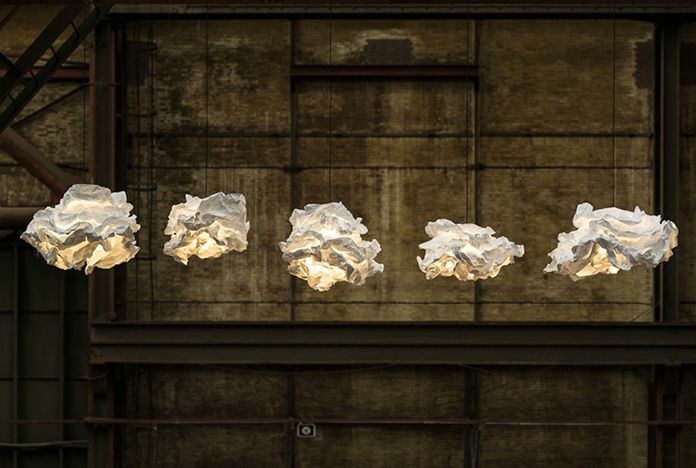 Chinese industrial designer Zhao LipingOffers a cloud light in the form of a chandelier and a floor lamp. 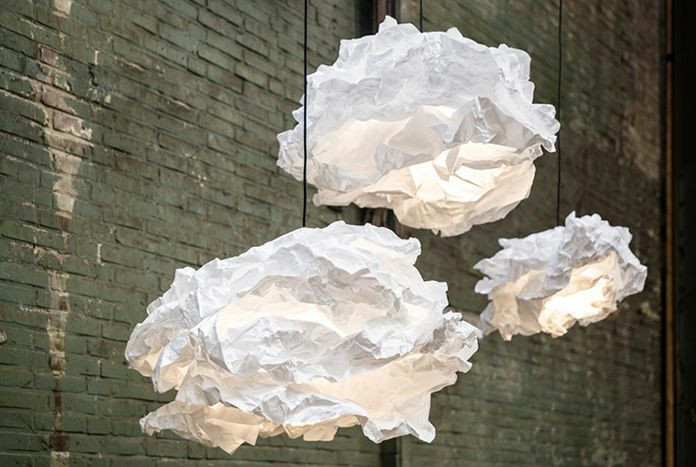 The plafonds are made of matte polyvinyl chloride, are static and do not change shape. 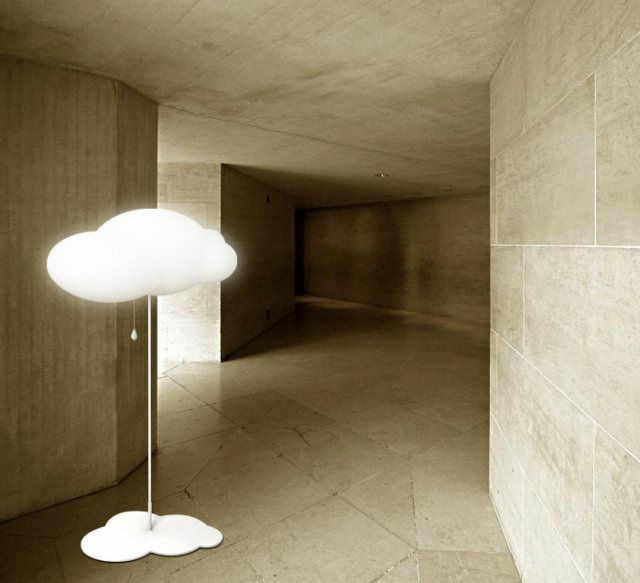 The chain - the switch of the floor lamp resembles a drop of rain, and the bottom is a shadow of a cloud on the ground. Similar lamps in the bedroom, living room or children's room perfectly fit into almost any interior, from the loft to the restrained classics. 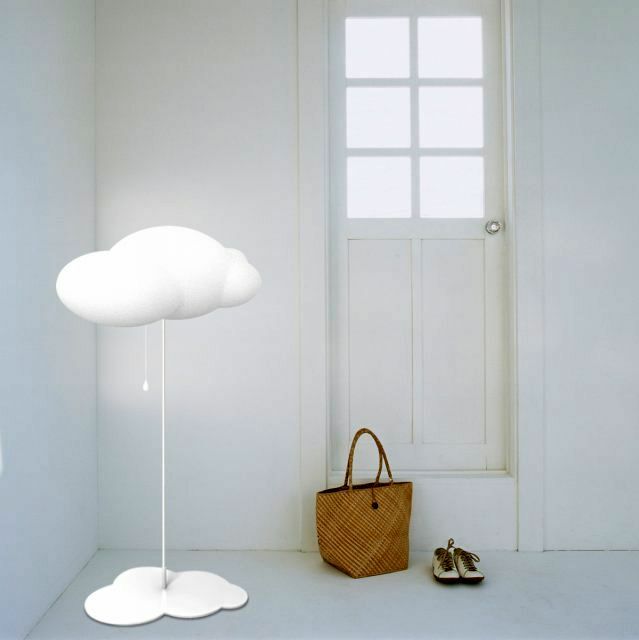 But closest to creating a real cloudApproached the New Zealand industrial designer Richard Clarkson. 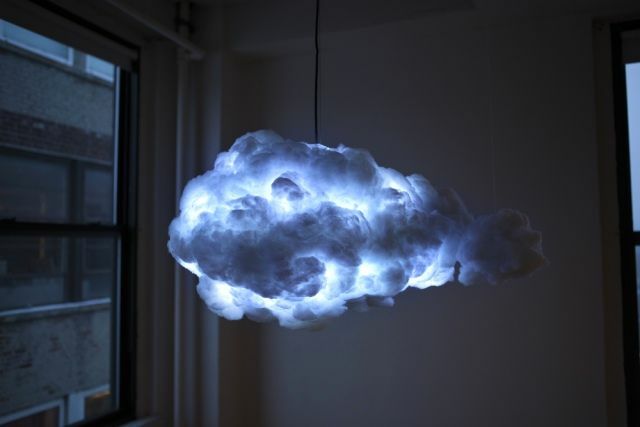 Its unusual audiovisual device is not just a luminaire in the form of a cloud, but a very thin and precise imitation of a thundercloud with all the accompanying effects (except in addition to a shower). Fans of stormy weather can now at any time directly at home enjoy this natural phenomenon. The cloud is made of a spongy synthetic material with a hypoallergenic filler. Inside, all the electronics, bulbs and speakers are hidden. The luminaire imitates thunder and lightning flashes both from the remote control and reacting to movement. There is a Bluetooth module for controlling the device via a smartphone or tablet, so you can adjust the volume and intensity of flashes, play your favorite music under the thunder. Of course, there is simply a nightlight function without additional effects.